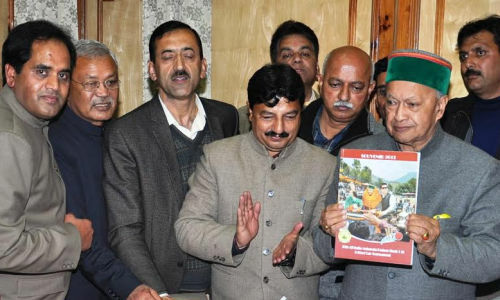 Shimla: Chief Minister Virbhadra Singh released the souvenir of 20th All India Maharaja Padam Singh Cricket Tournament brought out by Himachal Pradesh Sports Cultural and Environment Association here today. 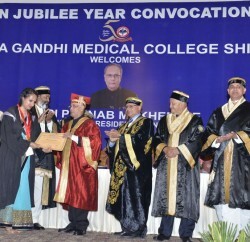 Lauding the efforts of Association for promoting the sports activities in the State, Chief Minister said that it has been organizing this tournament regularly since 1993. 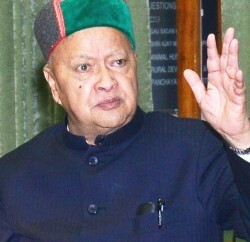 Virbhadra Singh said that the State Government was committed to promote sports activities in the State besides strengthening the infrastructure particularly in the rural areas. 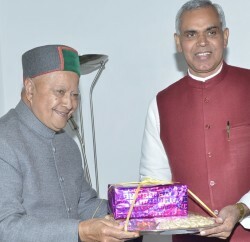 Hardyal Bhardwaj, General Secretary, Himachal Pradesh Sports Cultural and Environment Association, Raghuvir Singh, Chairman, Wool Federation and other members of Association were present on the occasion.